George is an avid outdoor cyclist who brings his passion for the sport into his classes. 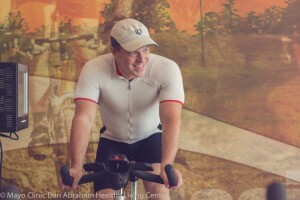 He feels that group fitness classes are a great way to improve conditioning and confidence for those that like to do races, group rides, or any type of outdoor events. Find George for a great rowing or cycle class.